Suzuki launched its brand new DF6A, DF5A, DF4A light weight and portable outboards with an exclusive preview at the Düsseldorf Boat Show. The key user benefits of these new models are that they are lightweight, easy and quiet to use, incredibly reliable plus they also boast a new design and unique colour. With a compact design and weighing in at only 23.5kg these new outboards are sure to be popular with many boaters. With technical innovations and some simple, yet effective, ergonomic design features, these new models are incredibly easy to live with. Combining light weight with two sturdy carry handles means that it is no problem to lift them on and off your boat or in and out of storage. 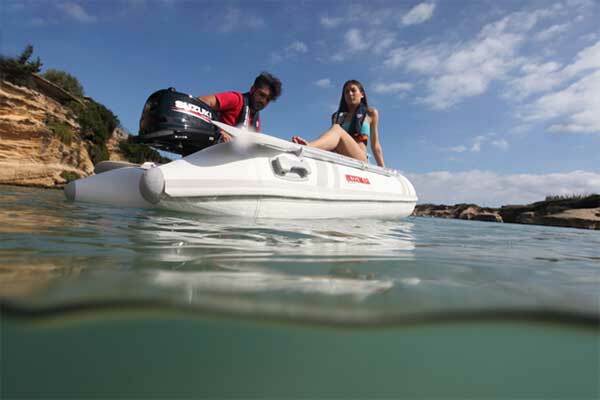 Suzuki has even made stowing these outboards easier with a new three-way storage capability. The improved fuel and lubricating systems allow extremely convenient storage of the outboard on any of three sides (port, starboard or front) without the worry of fuel or oil leakage. The new forced lubrication system is unique as it has an additional oil passage to the upper and lower crankshaft and connecting rod big end. Plus the addition of a first-in-its-class oil filter greatly increases the reliability of this system. Once on the boat, operating the new DF6A/5A/4A is a breeze. The new gravity-fed fuel delivery system means that you don’t have to prime the fuel line before starting after storage. An easy recoil starter means less effort is required to get up and running and once underway the new tilt system improves the overall operation of the outboard. A key selling point of these new models, and something for which Suzuki is synonymous, is their smooth and quiet running. This is in some part down to the fact that these engines benefit from an offset crankshaft, which results in a smoother piston movement thus improving operating efficiency and reducing vibrations. Suzuki has also made improvements to the tiller handle to mitigate vibrations being transmitted to your hand during use. 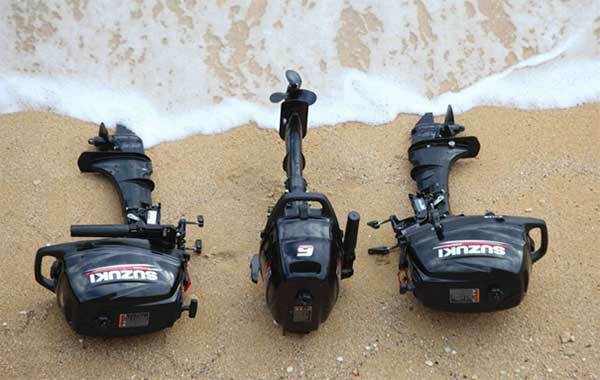 These little outboards are also highly durable and benefit from Suzuki’s anti-corrosion system. Applied directly to the aluminium surface it maximises the bond between the finish and the surface, increasing the protection and durability of parts that are constantly exposed to saltwater. This is great news and will keep the new decals and new Nebular Black colour of the outboard cowling in pristine condition.